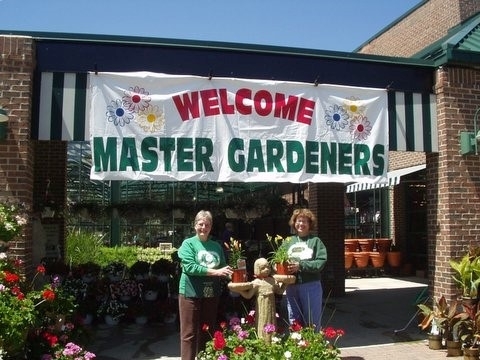 Established by volunteers in 1984, the Master Gardener Association of Wayne County (MGAWC) is dedicated to distributing current research-based gardening information, increasing environmental awareness, promoting gardening activities, and supporting volunteerism in southeastern Michigan with affordable and accessible activities. Master Gardener Association of Wayne County can benefit from your Amazon shopping. Instead of going to Amazon.com, head to Smile.Amazon.com and select Master Gardener Association of Wayne County to be the non-profit you want to support or use the link above. This does not cost you anything. The purchases that you normally make can help MGAWC. Thank you. The MGAWC membership year runs from October 1 to September 30. You do not have to be a current or former Master Gardener to join. Besides educational programs and a quarterly newsletter, members enjoy a few special shopping invitations, refreshments at every meeting, door prizes, and learning about volunteer opportunities, educational events, and community activities. On Saturdays in May, MGAWC volunteers were at the point of sale to answer questions about gardening. The goal is to set gardeners up for success. Throughout the year, please let Barson's Greenhouse, English Gardens, and Ray Hunter Florist know that MGAWC appreciates their participation. Recent graduates of MG training classes may wonder how to get their hours and how to stay involved in the program. The best way to get involved is to hang out with MG volunteers who will show you the way to meaningful and efficient projects and educational programs that make good use of your valuable time. Many MGAWC members are long-time community volunteers. They found that by taking on a seasonal or on-going volunteer job, they meet people and stay engaged. To take advantage of a year of networking with gardeners and nine educational programs, please consider joining MGAWC for $15 including quarterly newsletters and refreshments at meetings on the second Thursday evening, September-June, at the Environmental Interpretive Center at The University of Michigan-Dearborn campus. All interested gardeners, environmentalists or those supportive of MGAWC’s mission related to education, gardening and volunteerism are encouraged to join. Click the gray button below to sign up on-line (or print a form to mail with a check). Click the orange button further below to see some of what's already planned for 2019. UM-D visitors are charged $0.50/hour for parking until 7 p.m. on weekdays. Those who arrive early for networking and refreshments at 7 p.m. may have to park on the third floor and pay $0.50. Parking after 7 p.m. is still free. Details on the parking policy are at https://umdearborn.edu/about/visit-campus/parking-and-transportation/visitor-parking. 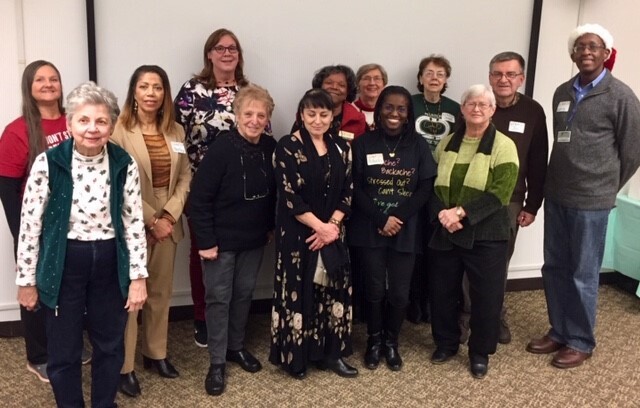 In 2019, membership meeting topics include vines, maple sugaring in Michigan, container-grown Hostas, the annual spring opener with Dr. Dean Krauskopf, Detroit River International Nature Refuge, art in the garden, critter-resistant native plants, and nocturnal animals (the after-hour residents of your garden). In 2018, membership meeting topics included the ecology and geology of the Shetland Islands, plants that are hot for 2018, Michigan owls, the annual spring opener with Dr. Dean Krauskopf, rain gardens and native planting projects with Detroit Public Schools, nature-inspired art works at the DIA, rhododendruns and azaleas, UM-D pollinator gardens and bug hotel, and the Flower House floral exhibit in Hamtramck. For 2017, membership meeting topics included determining credible sources of gardening information, urban conservation, bird migration, learning from past years of gardening, native plants, green roofs, raptor migration across the Detroit River, the history of the UM-D natural areas, and plants that really perform. In 2016, membership meeting topics included garden tools, eight months of color in the garden, maple syrup, the annual spring opener with Dr. Dean Krauskopf, plantings to attract beneficial insects, the ecological revival of the Detroit River, the Migratory Bird Treaty centennial, plants for tough spaces, and a cooking demo. Select notes and links from outstanding presentations are in "Summaries & Follow-up Info from Meetings" under "Education" along the top. The December potluck was a fun night of eating, socializing and enjoying music together. Everyone went home with at least one gift. Volunteers are welcome to tend the UM-Dearborn Natural Areas on the third Saturday afternoon of each month. MGAWC members at the International Master Gardener Conference (IMGC) in Portland, Oregon. The next IMGC is in King of Prussia, Pennsylvania, outside of Philadelphia, in June 2019. More info at internationalmastergardener.com. We have a Facebook Page, come check it out!